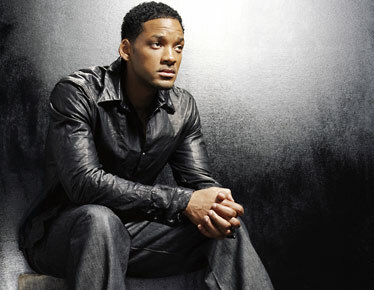 If I were Will Smith, The Fresh Prince of Hollywood, the name “Hitler” would never leave my mouth. Ever. Don't even give the bloodthirsty media the chance to take your words out of context or rearrange them. Do I have to teach you everything? No matter, your boy, ever charming and sly, still managed to stick his foot in his mouth on Christmas Eve, telling a Scottish newspaper that Hitler “didn't wake up going, 'Let me do the most evil thing I can do today.' ... I think he woke up in the morning and using a twisted, backwards logic, he set out to do what he thought was good” . So now the Jewish Defense League is calling on Barack Obama? (what's he got to do with this?) to repudiate Smith's comments, and wants theaters to pull “I Am Legend” from their screens. DJ Jazzy Jeff couldn't be reached for comment. Look, Will, my man, we hear what you were trying to say, but bro, next time, don't even bother. Just keep shooting aliens and doing whatever you do that everyone seems to love. Keep it milquetoast.